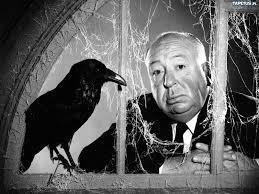 Sir Alfred Joseph Hitchcock, KBE was an English film director and producer, often nicknamed "The Master of Suspense". He pioneered many elements of the suspense and psychological thriller genres. Alfred Joseph Hitchcock was born in Leytonstone, Essex, England. He was the son of Emma Jane (Whelan; 1863 - 1942) and East End greengrocer William Hitchcock (1862 - 1914). His parents were both of half English and half Irish ancestry. He had two older siblings, William Hitchcock (born 1890) and Eileen Hitchcock (born 1892). Raised as a strict C atholic and attending Saint Ignatius College, a school run by Jesuits, Hitch had very much of a regular upbringing. His first job outside of the family business was in 1915 as an estimator for the Henley Telegraph and Cable Company. His interest in movies began at around this time, frequently visiting the cinema and reading US trade journals. It was around 1920 when Hitchcock joined the film industry. He started off drawing the sets (he was a very skilled artist). It was there that he met Alma Reville though they never really spoke to each other. It was only after the director for Always Tell Your Wife (1923) fell ill and Hitchcock was named director to complete the film that he and Reville began to collaborate. Hitchcock had his first real crack at directing a film, start to finish, in 1923 when he was hired to direct the film Number 13 (1922) though the production wasn't completed due to the studio's closure. Hitchcock didn't give up then. He directed a film called The Pleasure Garden (1925), a British/German production, which was very popular. Hitchcock made his first trademark film, The Lodger (1927). In the same year, on the 2nd of December, Hitchcock married Alma Reville. They had one child, _Patricia Hitchcock_ who was born on July 7th, 1928. 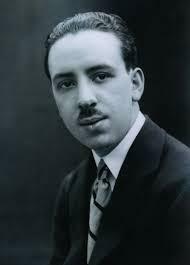 His success followed when he made some films in Britain such as The Lady Vanishes (1938) and Jamaica Inn (1939), some of which also gained him fa me in the USA. In 1940, the Hitchcock family moved to Hollywood, where _David O. Selznick_, an American producer at the time, hired him to direct an adaptation of 'Daphne du Maurier''s Rebecca (1940). It was after Saboteur (1942) was completed, as his fame as a director grew, that films companies began to refer to his films like Alfred Hitchcock's Psycho (1960), Alfred Hitchcock's Family Plot (1976), Alfred Hitchcock's Frenzy (1972). During the making of Frenzy (1972), Hitchcock's wife Alma suffered a paralyzing stroke that made her unable to walk very well at all. 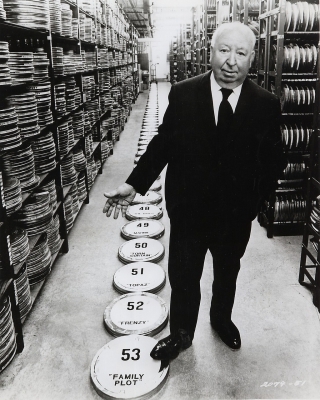 On March 7, 1979, Hitchcock was awarded the AFI Life Achievement Award, where he said this famous quote: "I beg permission to mention by name only four people who have given me the most affection, appreciation, and encouragement, and constant collaboration. The first of the four is a film editor, the second is a scriptwriter, the third is the mother of my daughter Pat, and the fourth is as fine a cook as ever performed miracles in a domestic kitchen, and their names are Alma Reville." By this time, he was quite ill with angina and his kidneys had already started to fail. He started to write a screenplay with _Ernest Lehman_ called The Short Night but he fired Lehman and hired young writer David Freeman to rewrite the script. Due to Hitchcock's failing health the film was never made, but Freeman published the script after Hitchcock's death. In late 1979, Hitchcock was knighted, making him Sir Alfred Hitchcock. On the 29th April 1980, 9:17 AM, he died peacefully in his sleep due to renal failure. His funeral was held in the Church of Good Shepherd in Beverly Hills. Father Thomas Sullivan led the service with over 600 people attended the service, among them were Mel Brooks (director of High Anxiety (1977), a comedy tribute to Hitchcock and his films), Louis Jourdan, Karl Malden, Tippi Hedren, Janet Leigh and François Truffaut.